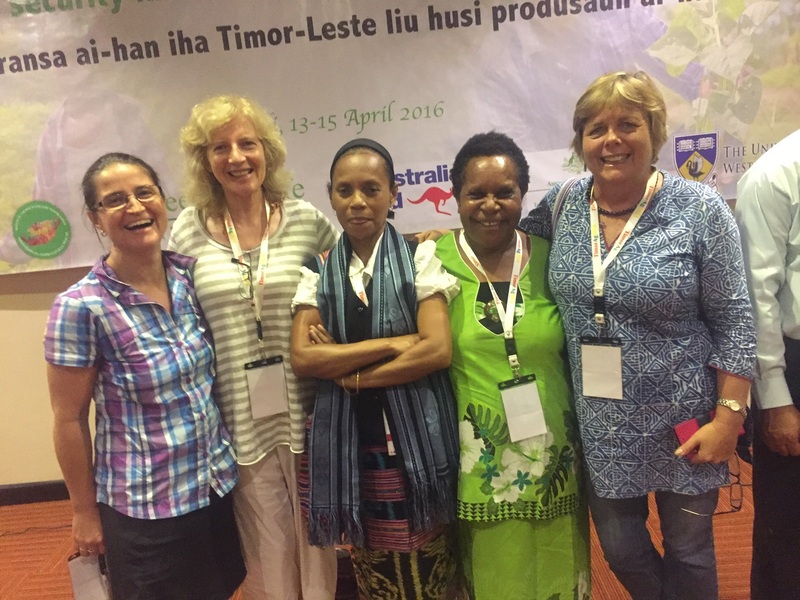 The Crawford Fund’s Food Security Journalism Award for 2016 is now open and two former winners have just returned from their award visit to Timor-Leste. Food and nutrition security is a continuing and major challenge for the young nation of Timor Leste—more than half of children under 5 are stunted, which is one of the highest rates in the world. Subsistence agriculture is carried out by up to 80% of the population, but marketable surpluses are not always produced and certain times of the year are marked by food scarcity in many villages. 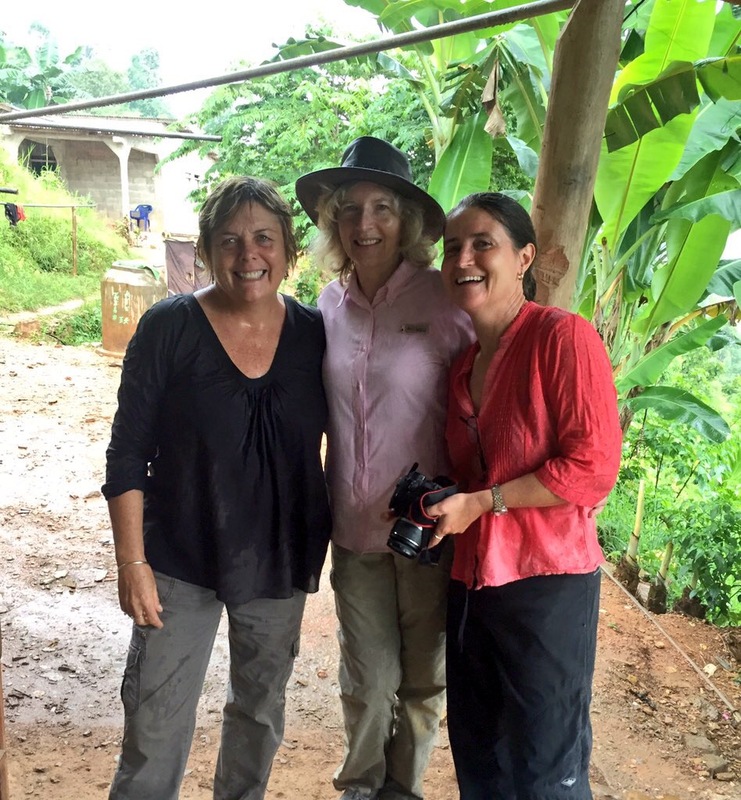 Elizabeth Finkel, editor of Cosmos Science Magazine, and Sarina Locke, national reporter for ABC Rural, have completed a 10-day visit to Timor-Leste with our Director of Public Affairs and Communication, Cathy Reade. The aim of their visit was to see agriculture for development projects in the field and attend Timor Leste’s most significant food security conference: TimorAg 2016. 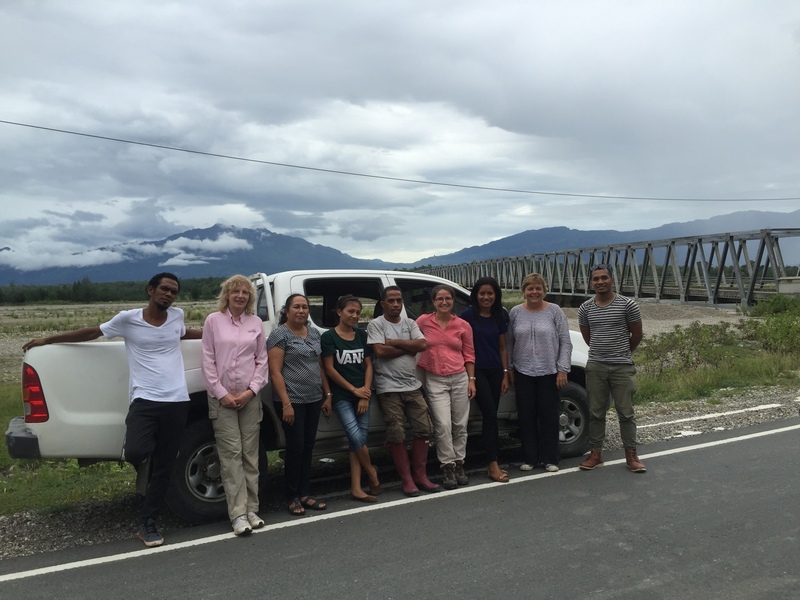 Field trips were taken to meet Australian and Timor Leste project leaders, researchers and farmers for work across livestock, crops and fisheries. The projects looked at were supported by Australia through the Department of Foreign Affairs and Trade, Australian Centre for International Agricultural Research (ACIAR) and the Department of Agriculture and Water Resources. 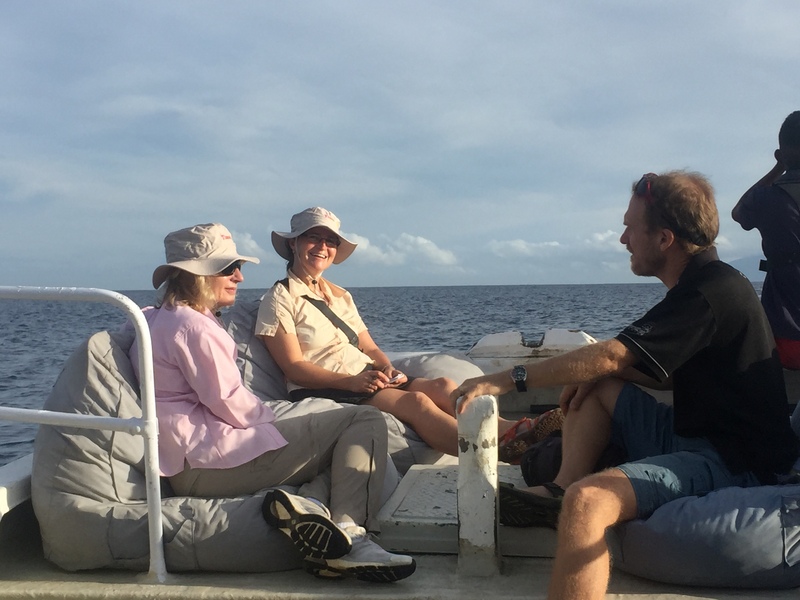 “The impact of both long and short-term Australian collaborative projects have been significant in this small island nation, which has in effect, needed to rebuild its agriculture sector since the tumult prior to gaining independence,” said Cathy. “The success and impact of the work is a testimony to partnership, persistence and resilience on all sides,” she said. 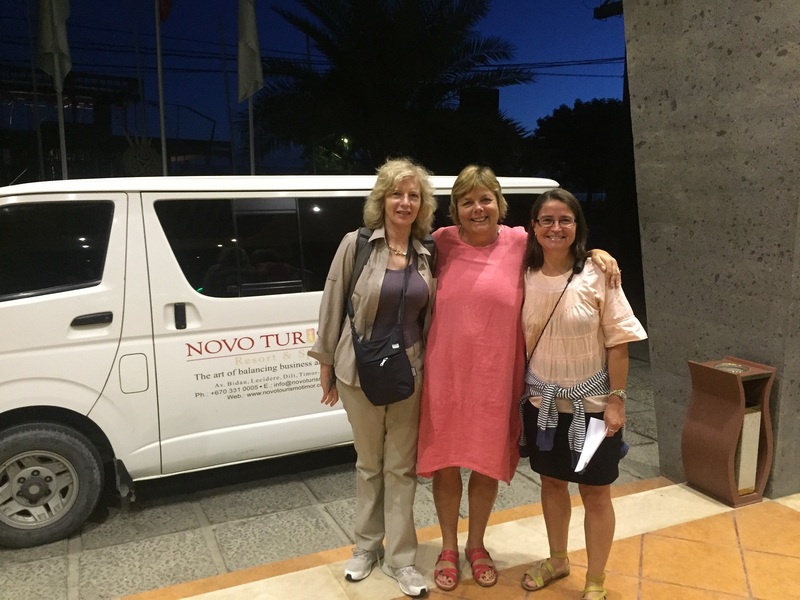 The projects that were covered by the visit to Timor Leste are summarised below and links will be added as reports from Elizabeth and Sarina are available. Thus far, there have been a range of reports on Radio Australia, Radio National Breakfast, Radio National Country Breakfast and a variety of ABC Country Hour Programs. Sarina also participated in four live crosses during her visit. This online piece on ABC Rural collects some of this reporting in one space. 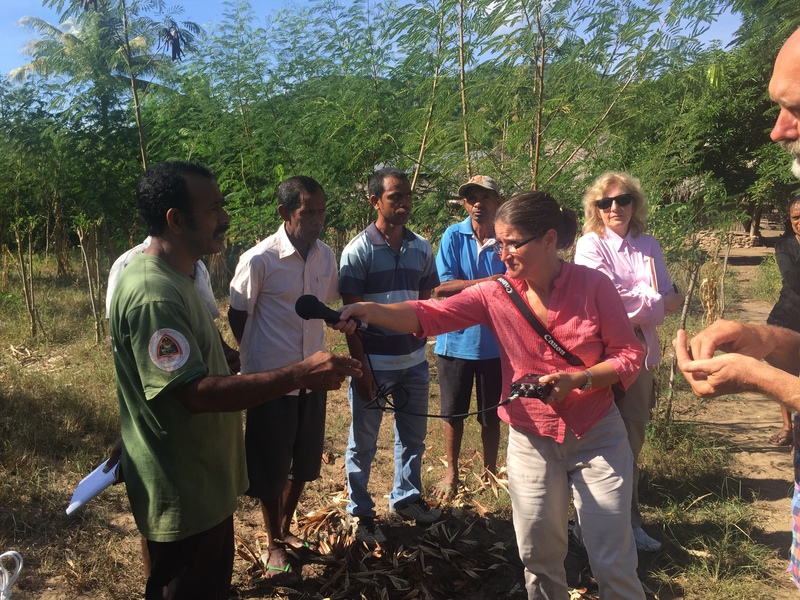 A more recent ABC Rural report by Sarina, ‘Raising the living standards of Timor’s poorest people, farmers and fishers’, is now available online here. One of the biggest challenges faced by Timor-Leste is to increase production of the main staple crops. While a range of factors contribute to the low productivity (e.g. low yielding varieties, poor agronomy and high post-harvest losses), it was agreed on independence that having available improved varieties with higher yield potentials was where the most immediate and significant gains would be obtained. This has turned out to be the case with increased yields of between 20-50 per cent. 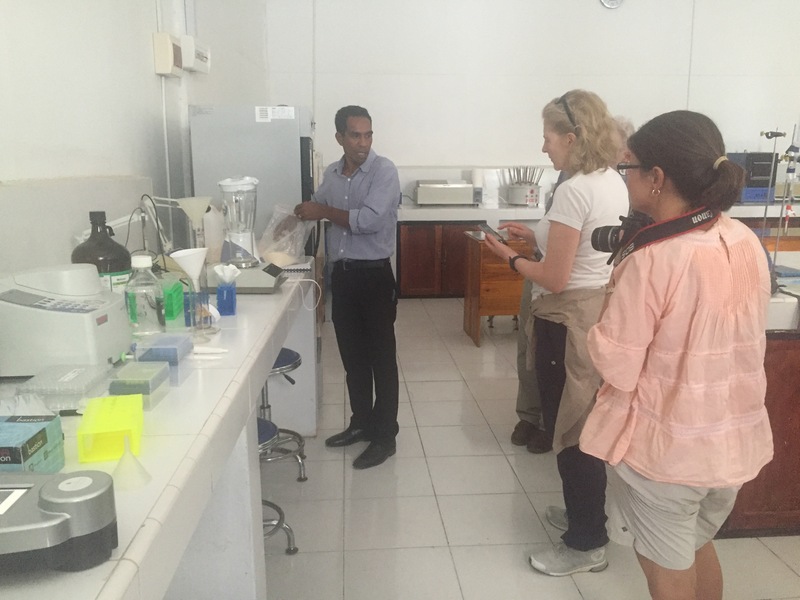 Seeds of Life (SoL) is funded by the Timor-Leste Government, ACIAR and the Australian Department of Foreign Affairs and Trade (with Australian partners) and has been working since 2000 to identify more productive varieties of staple food crops. In the early stage, the CGIAR centres were involved to fast-track identification and development of suitable crop varieties. Crops involved include mainly maize, sweet potato, cassava, rice and peanuts but a small amount of work is also conducted on some minor crops such as wheat, barley, potato and various bean crops—19 new varieties have been released. The third and final phase of SoL aimed to establish the foundations of a national seed system, with enough seed being produced for commercial and community spread to farmers throughout the country. This included the involvement of private-sector actors—contracted farmers to produce certified seed, commercial seed producers to grow commercial seed, and traders and agricultural shops to sell the seed. The ABC’s Radio National Breakfast program, hosted by Fran Kelly, reported on this project in an episode on Tuesday 26 April. 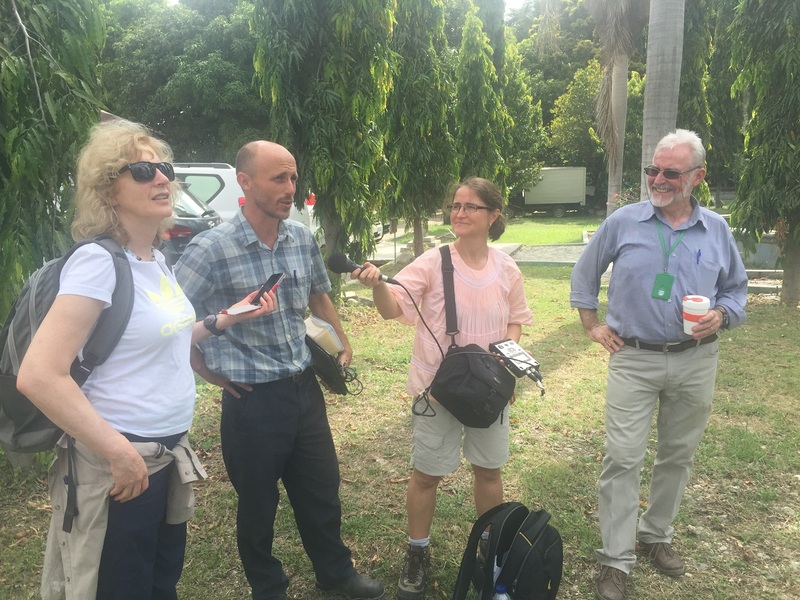 You can read more and listen to the episode via this link: Australia wraps up longest running agricultural aid project in East Timor. facilitate the adoption of a tree legume based feeding system in the dry land areas of Timor-Leste. Increased village poultry production has been shown to support improved nutrition and prosperity for villagers, particularly women who generally manage poultry in villages. This project follows the success of work around the use of a thermo-tolerant vaccine for Newcastle Disease. This vaccine was developed through much earlier ACIAR work in Asia, and then Africa, using village vaccinators—usually women. The health of village poultry will also be protected by work to strengthen international border and village biosecurity by reducing the reintroduction of poultry diseases. You can learn more about this agricultural project via the Radio Australia Pacific Beat program report. The ABC’s Radio National Breakfast program also discussed this issue in an episode on Thursday 21 April and you can listen via this link: Australian-assisted animal vaccination project helps deliver food security in East Timor. The fisheries and aquaculture sectors in Timor-Leste currently fall well short of their potential to contribute to improving livelihoods and food security. In stark contrast to neighbouring nations and small island states globally, Timor-Leste makes limited use of its living marine resources. There is significant potential to improve food security through the promotion of sustainable marine resource use. WorldFish (one of the CGIAR centres) is partnering with communities, the National Directorate of Fisheries and Aquaculture, local NGOs and international agencies to develop and test strategies that improve livelihood resilience in coastal communities, increase food security, and provide for sustainable exploitation of near-shore marine resources. The overall aim of the program is to pilot interventions that seek to improve food and nutrition security, productivity and resilience of fisheries systems and community livelihoods in coastal areas of Timor-Leste.